The premier regional professional journal is the voice of Asia's insurance industry in meeting the information needs of insurance practitioners in Asia. The magazine which provides a comprehensive overview and insights into the dynamic Middle East insurance industry and takaful developments, and the interplay between the two. The top insurance news in Asia and the Middle East brought to your desktop every weekday. 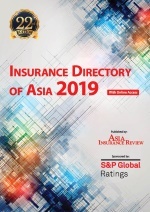 The IDA 2019 is the one and only regional insurance directory in Asia covering 27 countries.It compiles the full list of your competitors in each market in Asia in one reference book, comprising contact information and details of 1,364 insurers and 187 reinsurers operating in major markets like Japan and China and in upcoming ones such as Mongolia and Myanmar. Professional reinsurers and reinsurance brokers with contact details, latest financial and management data.Companies operating in the region including Australia and New Zealand.One-stop reference guide for ceding companies and reinsurance brokers to have a quick overview of market and its players. 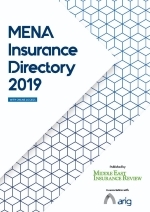 This 12th edition of the MENA Insurance Directory (MID) is an invaluable reference guide to the region, helping users keep track of the changes in insurance markets in the Middle East and North Africa (MENA).It is a must-have tool for managers and insurance professionals doing business in or entering MENA, and contains key corporate and management data on nearly 500 insurance and reinsurance companies across 21 markets. The new Global Takaful Directory 2019 is a unique one-stop source of reference on who is doing what in the takaful space worldwide, with a special focus on Asia, the Middle East and North Africa. It is a comprehensive and up-to-date directory that captures corporate information – including company profile, financial information, key personnel and contact details – of Islamic insurance and reinsurance companies.